Let us guess -- you've put off holiday meal planning until now? Or perhaps you just went swimming in this supremely warm November and have just remembered that it is, indeed, Fall. Oh, isn't Texas wonderful?! We have got the pie. In any case, worry not. We are prepared. We have got the pie. See below for our pie shop addresses and pick-up times. You're welcome to drop in and grab some Tiny (or Not So Tiny) Pies on the go! Click here to see what we'll be carrying. All items while supplies last. 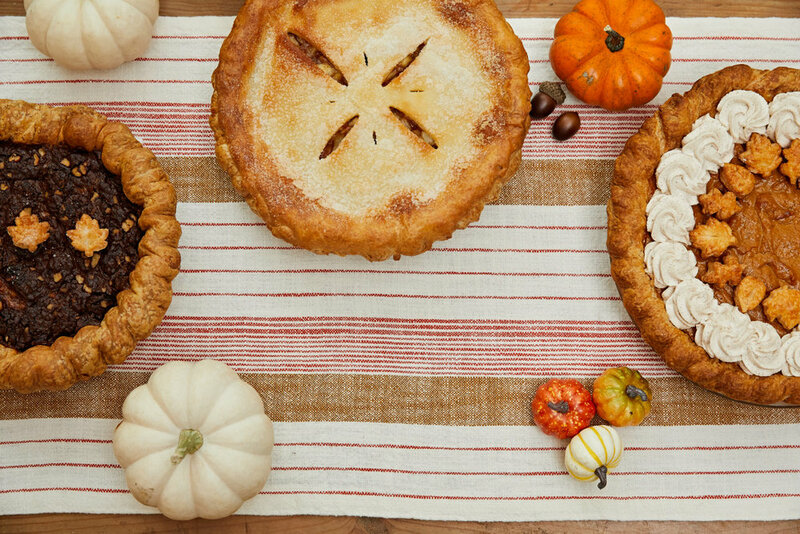 PLEASE NOTE: Due to high capacity and volumes during this week, we cannot honor custom orders and must limit each drop-in order to thirty six (36) Tiny Pies and three (3) Not So Tiny Pies, while supplies last. Kind Reminder: Our retail shops are CLOSED Thursday, November 23rd through Sunday, November 26th.